"lime" is finally on the web! 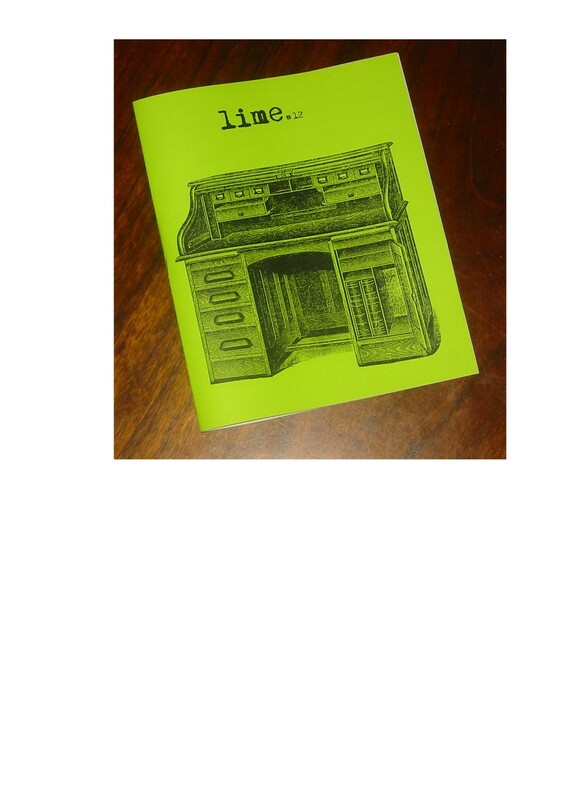 "lime" is a zine (self-published magazine) edited and produced by me, Ariana, aka Ari, Olly. Started in 1996 as a senior high school project, 11 issues have been produced as of May 2005, with more issues always in the works. Here you will find stories, comics, drawings, and the ever-popular QUOTES, gleaned from friends, family, movies, etc., that are often funny and just as often don't make a bit of sense. They can be found on the Quotes page. "Lime" has always had plenty of cool drawings and comics by yours truly as well as by others. Find them on the aptly named "Drawings and Comics" page. You can order copies of "lime" as well as any other artifacts I have produced ( I make t-shirts sometimes) on the "Zines and Other Merchandise" Page. An advantage over the printed zine that this site has to offer is that it offers previews of upcoming "lime" material. These can be found on the "Previews of Upcoming Issues" page. What it doesn't have to offer, unfortunately, is innovative Web design. Please note the generic-ness of this site but do not judge by it -- the printed zine is much less generic. However I have little money and am fairly web-illiterate, so for now this will have to do. Part of the reason I created this website was because of the feeble feedback I got from just selling my zine at the local comic shop (Dreamhaven Books, Minneapolis). I know people read my zine and buy it, but it is much easier to write a quick note in a guestbook or send an email than to sit down with pen and paper, compose a letter, put it in an envelope, stamp it, etc...So this is my attempt to accomodate the lazy. See "The "lime" Guestbook". Here it is! Available now.